PBC Lokomotiv Kuban signed a new long-term agreement with the Russian guard. The guard of the Russian national team Dmitry Kulagin joined Loko in October 2017 and soon became one of the leaders of the team. Dima contributed to Krasnodar’s win in the Russian Cup and was the MVP of it Final Four and the Final Game. 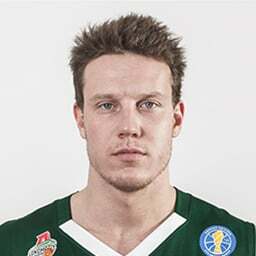 Kulagin reached the finals of the EuroCup with Loko, averaging 11.2 points, 3.6 rebounds, 3.8 assists. In the VTB United League, Kulagin averages 10.2 points, 2.5 rebounds, and 3.4 assists. The new contract with Loko is valid till summer 2022. — Signing the long-term agreement with Kulagin fully matches the club’s strategy to form the team around talented Russian players. I’m happy that Dima continues playing and achieving big wins with Loko. — I’m happy to announce that Loko and I signed a new contract and I can continue contributing to the club’s achievements. I’m grateful to the management and the coach for trusting in me at the beginning of the season and creating comfortable conditions for me so I could easily fit in the new system. I would like to point out our fans who heartedly welcomed me in Krasnodar. I’ll do my best to be worthy of the vote of confidence. We have achieved a lot together. We won the Russian Cup and advanced to the EuroCup finals. And Lokofamily supported us greatly in that. At the moment, all my thoughts are on upcoming play-off games in the VTB United League. The season goes on and we have to do a lot to get to the Final Four. I’m sure we can do the important step together. See you in Basket Hall! We were born to win.